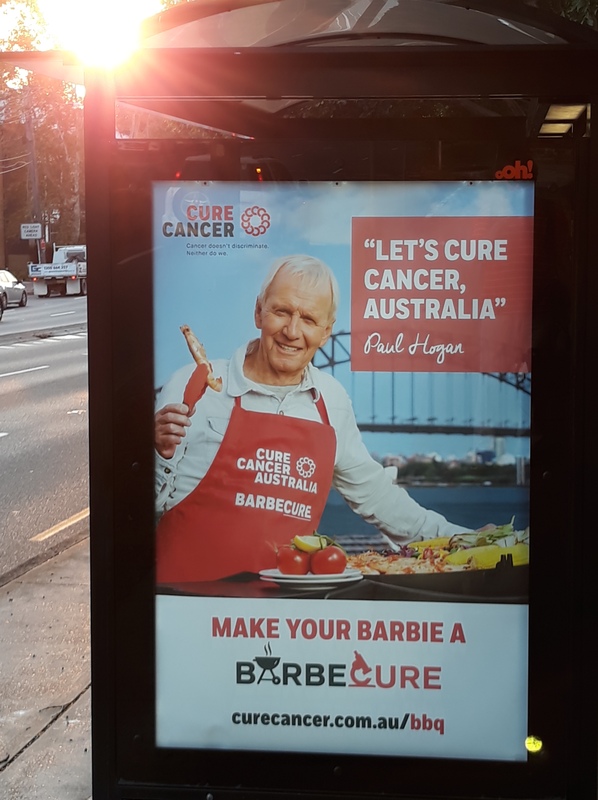 Having actor Paul Hogan headline Cure Cancer’s “Barbecure” makes no sense to me. Put another shrimp on the barbie, I get it. But so what? Hogan may regret the staggeringly successful “Anyhow, have a Winfield” advertising campaign he headed in the 1970s, but his presence in a cure cancer campaign is inept. It muddies the message. Winfield is a brand of cigarettes now owned by British American Tobacco Australia. This is not to suggest that Hogan is not sincere in wanting to help. I’m sure he is. 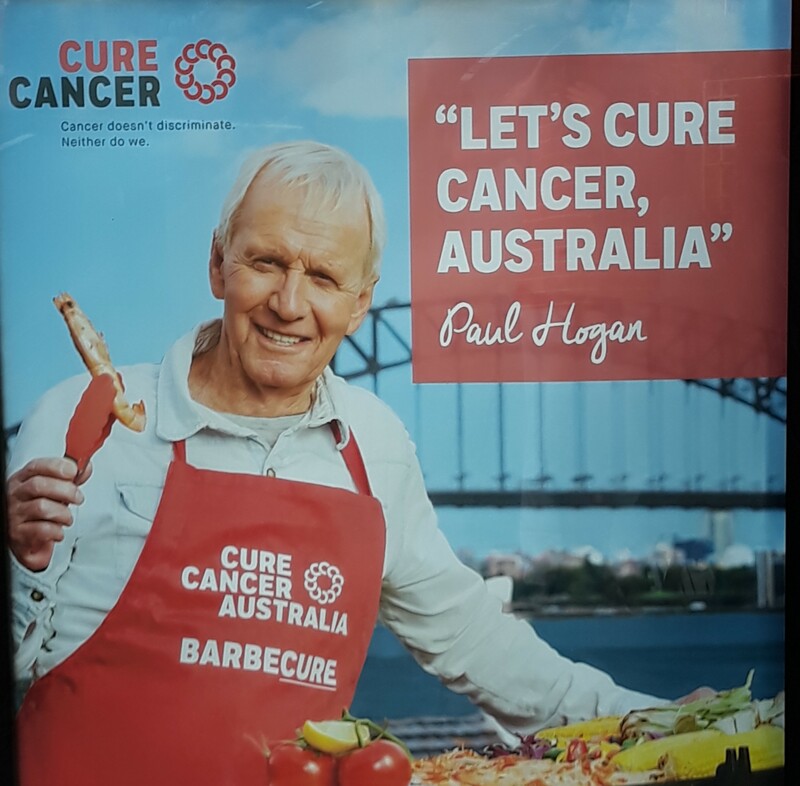 But why does an organisation raising funds to support cancer research ask one of the most effective promoters of tobacco in Australian history, someone who is still, apparently, a smoker – to front the campaign? Cure Cancer’s Barbeque concept seems to be about raising money for what we might call “techy” solutions to treating cancer – funding research towards a new drug or therapy. (Must say, though, I love the idea about hosting a barbie, telling the guest list they’re not invited and hitting them for hard cold cash instead). Cancer research is, of course, worthy and deserving of funding. Who knows, many of us may one day benefit from such research and the therapies that result. But there’s another way to cure cancer as well…it’s called reducing the risk that Australians will get cancer in future. Using smart public policies, we can prevent the risk that Australians will get heart disease, and diabetes too. Unfortunately, preventive health enjoys a fraction of the profile – and almost none of the money – that techy solutions like research towards new drugs or therapies attract. This could be because one important dimension of prevention at the population level is regulation, and that makes prevention a political matter. Australia has a pretty shabby record in using law and regulation to reduce modifiable risk factors for the non-communicable diseases that are responsible for the overwhelming share of death and disability in this country. When it comes to food and diet-related risk factors, for example, see the scorecard and priority recommendations for Australian governments issued by the Global Obesity Centre, a WHO Collaborating Centre for Obesity Prevention, at Deakin University. How many lifetimes till these are implemented, I wonder? A decade ago, the National Preventative Health Taskforce released a blueprint for improving the health of Australians. I can no longer find that report on the Australian Government’s website. Although the government has raised the excise on tobacco and implemented plain tobacco packaging, no formal targets have been set for reductions in obesity or dietary risk factors, and prevention policy has been described as “flapping in the wind” (Swannell 2016). 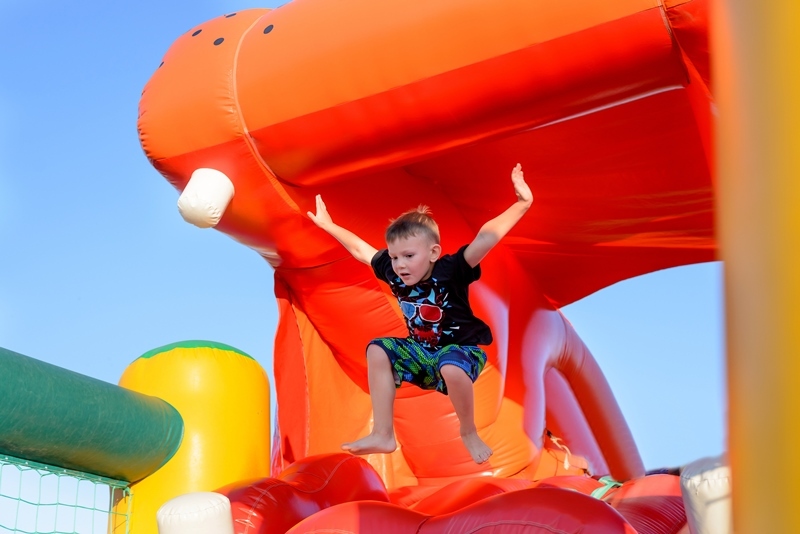 The Australian Preventive Health Agency, which was established to spearhead preventive efforts, and to fund preventive research, was de-funded and is extinct. This move damaged momentum on preventive health in Australia, as Leeder, Wutzke, and many others have pointed out. Which is a shame, because preventing cancer is “curing” cancer too. Are you interested in health law? Sydney Law School offers a Master of Health Law with mid-year entry. See here and here for more information. Are these photos the pointy end of tobacco control? Or just another example of what the tobacco industry does best? If the e-cigarette industry in Australia has a martyr, his name is probably Vince van Heerden. More about him in a moment. Advocates for e-cigarettes claim that they are a healthier alternative to smoking, and provide a ray of hope for desperately addicted smokers. However, before you make up your mind, look at how e-cigarettes are promoted in countries like the US where they can be freely sold. I am not a fan of e-cigarettes. Some of the (highly visual) reasons why are given at the bottom of this post. The June 2016, the Australian Competition and Consumer Commission (ACCC) took action against two online retailers for suggesting that e-cigarettes do not contain carcinogens and toxic compounds. Second hand smoke may be more toxic than e-cigarette vapour, but according to a recent review by NSW Health, “passive exposure to EC vapour has the potential to lead to adverse health effects”. According to the review: “…EC vapour contains elevated levels of nicotine, PM [fine particulate matter], glycerine, propylene glycol, formaldehyde and acetaldehyde, PAHs [polycyclic aromatic hydrocarbons] and metals”. And that’s putting to one side documented reports of pediatric poisoning and burns from exploding lithium ion batteries in e-cigarettes. When you see advertisements like this giving tacit permission for parents to vape all over their kids, you realise that the e-cigarette industry craves truth, justice, evidence (and profits) in much the same way as the cigarette industry. But back to van Heerden. Tale of an e-cigarette martyr? 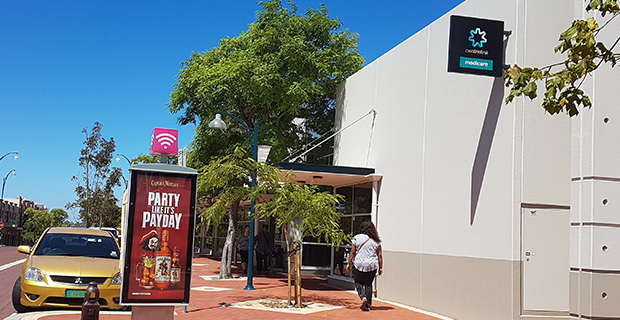 Van Heerden, an IT professional, ran an e-cigarettes business called “Heavenly Vapours” from his home in Perth, selling e-cigarettes and nicotine-free “e-juice”. Van Heerden was charged with an offence under section 106 of the Tobacco Products Control Act 2006 (WA). “A person must not sell any food, toy or other product that is not a tobacco product but is…designed to resemble a tobacco product”. Are e-cigarettes [and vaping hardware generally] “designed to resemble tobacco products”, such as cigarettes and cigars? The Magistrate didn’t think so, and dismissed the charge. The WA Health Department appealed. In van Heerden v Hawkins, Justice Janine Pritchard of the Supreme Court of Western Australian allowed the appeal, convicted van Heerden and later imposed a fine of $1,750. She also ordered van Heerden to pay the Department’s costs both in the Magistrate’s Court ($5,578), and in the Supreme Court ($ 8,500). Her Honour noted that van Heerden had set up a webpage seeking donations to fund a further appeal. That appeal has now run its course. In March 2016, the Court of Appeal of the Supreme Court of Western Australia unanimously upheld Justice Pritchard’s decision. You can read the Court of Appeal’s judgment here. In imposing the fine and making the costs order against van Heerden in June 2014, Justice Pritchard accepted that van Heerden honestly believed e-cigarettes were a “healthy alternative to smoking cigarettes”. She also noted that conviction under section 106 did not depend on the product that was sold being “harmful to public health”. Why did the Court of Appeal confirm van Heerden’s conviction? The Court of Appeal judgment provides a helpful primer on the principles of statutory interpretation – especially the judgment of Buss JA [paras 93-103]. The judgments also raise interesting questions for e-cigarette businesses operating in States that have tobacco control laws that are similar to WA’s section 106 (see below). The most interesting argument raised by van Heerden was that section 106 was not intended to create an offence for the sale of “harm reduction” products that are intended to discourage the use of ordinary cigarettes. Counsel for van Heerden argued that the prohibition in section 106 should be understood in light of the purposes of the Act, which included “discouraging the use of tobacco products”. Counsel argued that while cigarette smokers inhale tar and tobacco-related toxins, this is not the case with those who inhale e-cigarette vapour, since electronic cigarettes do not involve combustable tobacco: . Furthermore, “electronic cigarettes compete directly with ‘tobacco products’ on the basis of the ‘substantial and obvious differences between them” . In response, Justice Buss JA pointed out that the purpose of legislation arises from the meaning of the text itself, when considered in context, as distinct from assumptions about “the desired or desirable reach of operation of the relevant provisions” . The context includes the history of the legislation, and the “mischief to which the statute is directed”. 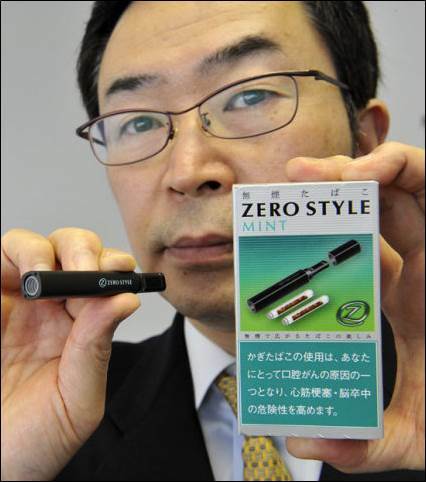 In 2006, when the WA Act was introduced, electronic cigarettes had not yet appeared in Australia. 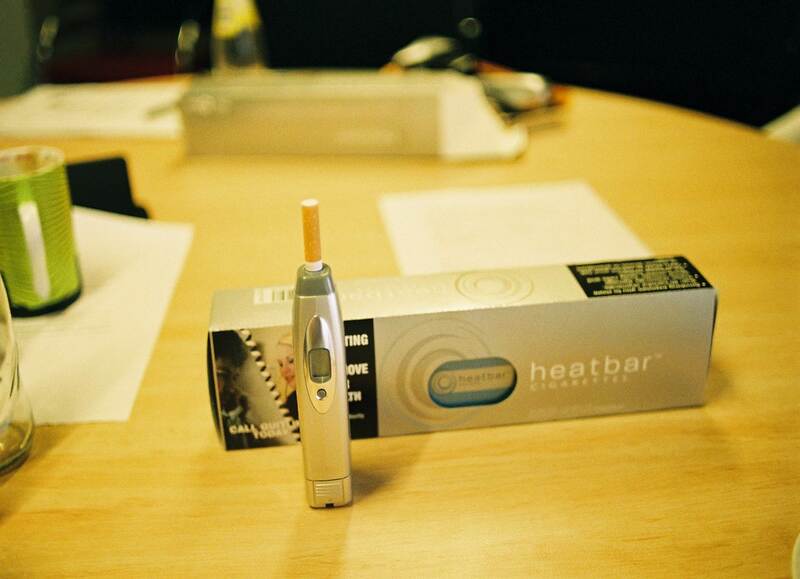 (It was not until 2007 that Philip Morris began test marketing first generation “heatbar” cigarettes in Melbourne). The Court pointed out that legislative provisions that set out the purpose of an Act are certainly relevant to construing the meaning of a statutory words. If two competing constructions are open, the object or purpose of the legislation, where it is stated, will be relevant to choosing between those meanings. On the other hand, no such choice arises when the plain and ordinary meaning of the text is apparent [paras 176-182]. In this case, section 106 prohibited sale of food, toys and other kinds of products (not being food or toys) that were designed with the intention of having a likeness or similarity to tobacco products [paras 114-118]. Section 106 did not include a defence if the products sold might be used to assist people to give up or to minise their smoking [para 121]. In other words, section 106 did not exclude products that might be used in ways consistent with “one or more of the express or implied purposes of the Act” [para 137]. Ultimately, the text of section 106 simply didn’t support the argument that Parliament had intended to create a distinction between “products designed to resemble tobacco products” and “products designed to reduce tobacco-related harm” [paras 123-125, 151, 154]. Even if e-cigarettes were properly regarded as harm reduction products, the language of section 106 did not exempt them from the prohibition on sale, given the clear language of the section [para 151]. Accordingly, whether or not e-cigarettes should be exempted from the prohibition in section 106 was a matter for Parliament, not for the courts [para 182]. With his conviction upheld, Van Heerden has reached the end of the road. However, van Heerden appears to have raised a substantial sum of money for his legal costs from sympathisers. Van Heerden’s conviction has interesting implications for retail sales of e-cigarettes in NSW, South Australia, and Queensland, which have similarly worded provisions to s 106. For example, section 21(3) of the Public Health (Tobacco) Act 2008 (NSW) states that a person must not sell any confectionary, food, toy, amusement or other product “that resembles a tobacco product or is packaged to resemble a tobacco product”. In Victoria, following a recommendation by the Secretary of the Health Department, the Health Minister is empowered to ban a product or class of products that “is not a tobacco product but resembles a tobacco product” [Tobacco Act 1987 (Vic) ss 15N-15S]. By contrast, in Tasmania and the ACT, the prohibition on sale of products that resemble a smoking or tobacco product applies only to toys or confectionary. In the Northern Territory, the prohibition on sale of products resembling tobacco products only applies if the product is designed or marketed for consumption by children. Are e-cigarettes the pointy end of tobacco control? The merits of e-cigarettes should not be judged solely on their safety profile relative to cigarettes. It is important to also consider evidence of the attractiveness of e-cigarettes to youth, their capacity to act as a gateway to nicotine addiction and later smoking, their observed function in undermining quitting through dual use, their potential to trigger relapse, not to mention their capacity to undermine hard-won social norms about smoke-free environments. Let’s assume that some individuals do manage to quit smoking with the help of e-cigarettes. That does not necessarily mean that legalising the sale of e-cigarettes is a good result for public health. It is possible that e-cigarettes might be “good” for the health of some individuals, while at the same time being “bad” for the health of the population overall. Such things are possible. Studies that reach their conclusions about harm minimisation products by comparing the harm between a cohort of smokers and a cohort of e-cigarette users trivialize the complexity of the ways in which e-cigarettes are both pathways to and pathways from nicotine addiction and smoking. E-cigarette use among high school students has skyrocketed by 900% in the United States, from 1.5% in 2011 to 16% in 2015. No wonder tobacco companies are buying up e-cigarette companies. 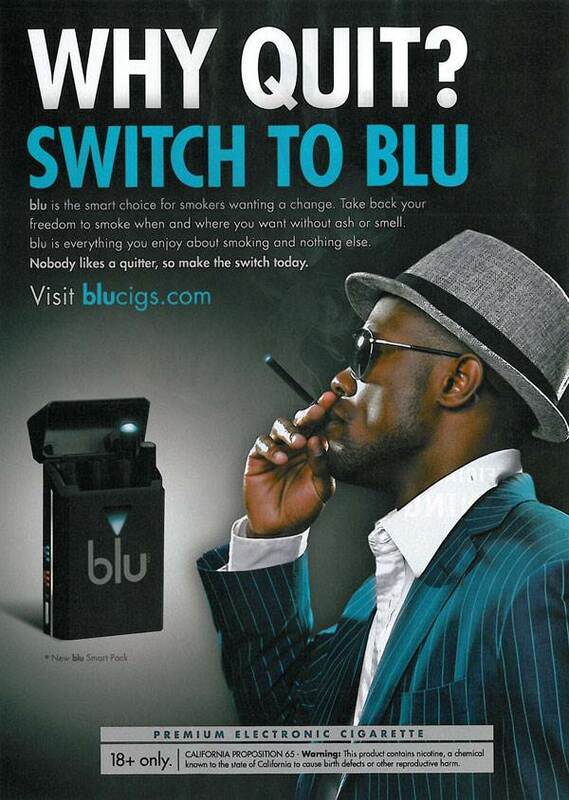 Blu e-cigarettes, for example, was purchased in July 2014 by Imperial Tobacco, the world’s 4th largest tobacco company. Self-evidently, it makes no sense to Imperial Tobacco to position e-cigarettes in a way that would undermine its “full harm” cigarette business. There is emerging evidence that e-cigarette use is a risk factor that facilitates smoking. A recent study of Southern Californian teenagers compared never-smoking e-cigarette users with never-smoking teenagers who had never used e-cigarettes. Over a 16-month period, more than 40% of e-cigarette users progressed to smoking, and more than 10% of those who had never used e-cigarettes. However, those who used e-cigarettes had 6 times the odds of progressing to smoking than those who had never used e-cigarettes. So…are e-cigarettes the pointy end of tobacco control? Well, let’s do the math. 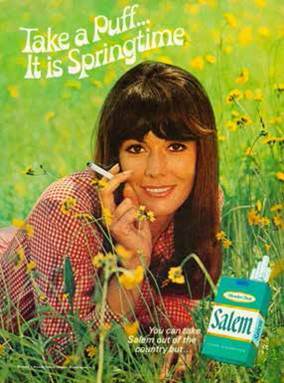 This is how cigarettes used to be advertised. 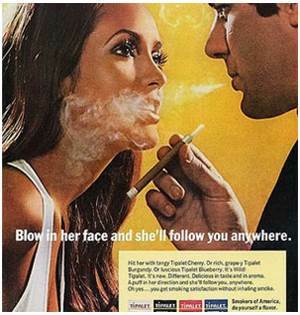 This is how e-cigarettes are advertised now. 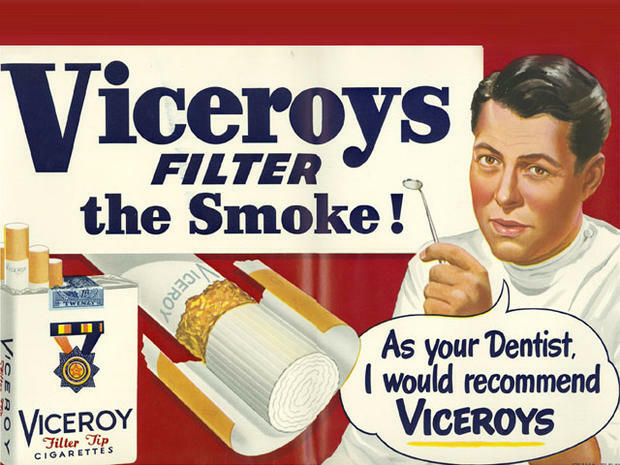 This is how your doctor and dentist used to advertise cigarettes. According to the Huffington Post, in July 2016 a company called Nicoventures – owned, not coincidentally by British American Tobacco – published research claiming that 8 in 10 Australian doctors support the use of e-cigarettes. BAT has a vaping device that is already licensed as a quit smoking aid in the UK, and available through the NHS. Perhaps BAT is angling to have their product approved by the Therapeutic Goods Administration in Australia. Oh dear. So confusing. 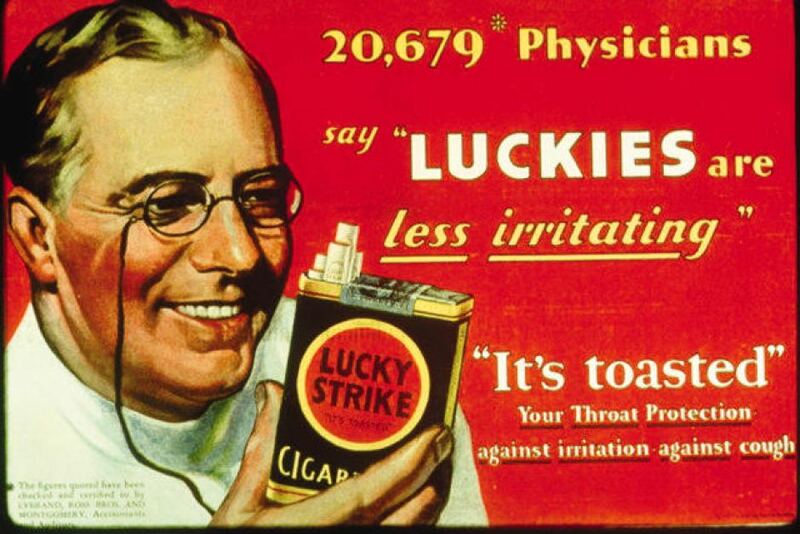 Should we believe anything the tobacco companies say? Are you interested in health law? For further information on Sydney Law School’s Master of Health Law and Graduate Diploma programs, follow this link. The ACT attracted media attention this week for becoming the first Australian jurisdiction to regulate ride-sharing services like Uber. 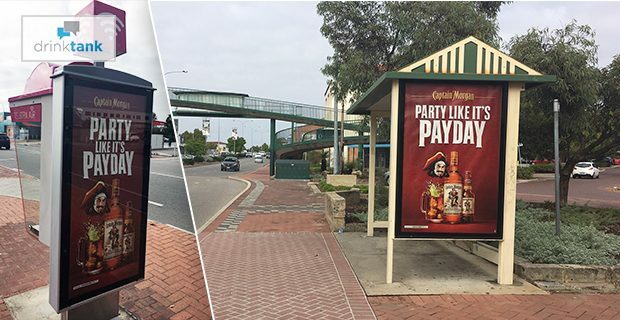 But the ACT’s also been active in an area that’s close to the heart of many public health advocates: regulation of junk food and alcohol advertising. Promotions for these products will be banned on ACTION buses, along with ads for gambling, fossil fuels, and weapons, under a strict new government policy. There’s little appetite for stronger restrictions on junk food ads at the federal level, despite the National Preventative Health Taskforce recommending legal measures to reduce children’s exposure to junk food ads back in 2008. 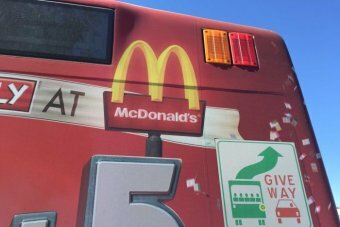 This was followed by several attempts by The Greens party to introduce legislative amendments that would restrict junk food promotions on television. As with tobacco control, maybe legislative restrictions on junk food marketing to children need to start at the local level and work their way up. 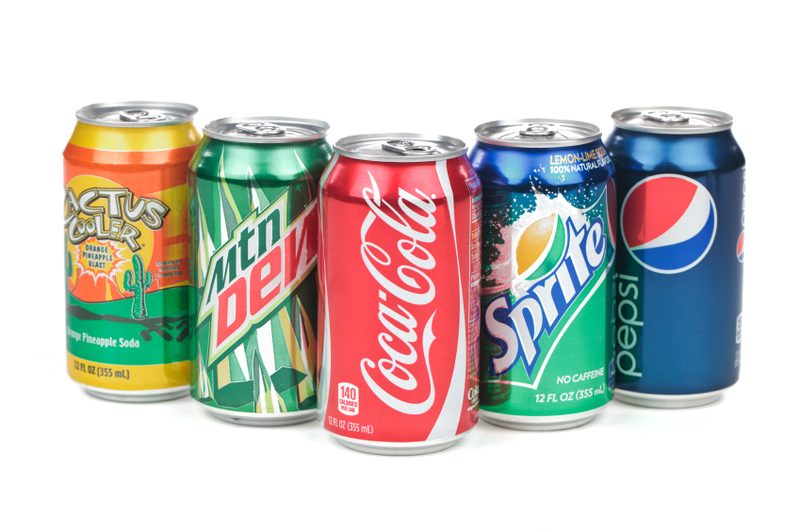 The NZ Health Ministry has called on District Health Boards to stop selling soft drink.